So, I worked some more on the flight controls and I'm finally starting to get the right fast paced "arcade" feeling that I'm striving for. I believe that the most important thing is to make the core game play work and feel right. It should be fun to play even if all the bells and whistles are not there. Now, I realize I probably won't make it before the end of the deadline but this has still been a fun experiment. I will surely continue working on this and see if I can finish it soon. Anyway, here's some footage of the flight controls. I found out about this game jam pretty late and signed up this Sunday. I thought what the heck, I will do my best and see what I can come up with in such a limited time. I have been noodling around with Unity for about a month and I want to learn making games with it but my biggest problem is that my game ideas grow too big and never get finished. Also, there is the fear of failure, the perfectionism and such things that end up killing my motivation. I think I need a deadline to really push myself a bit more. Hopefully I can get something released this time! 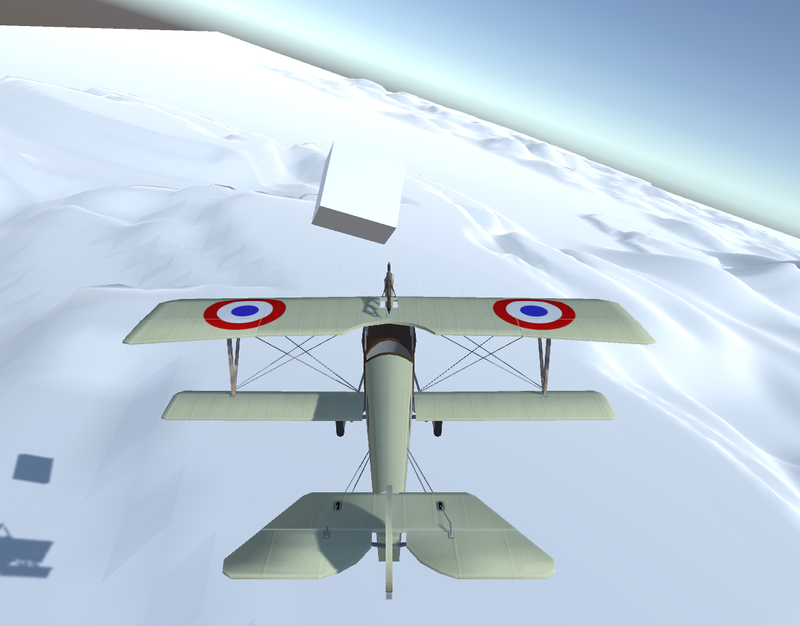 My game idea is to create a simple World War I arcade flight shooter. This brings back "memories" (yes, the game jam theme :) from my childhood when I used to play Wings on my Amiga 500. What a cool game that was!